This tutorial will show you step by step how to rip (copy) DVDs to your computer's hard drive in a few different ways using free and paid software. This tutorial should also work for copy or region protected (encrypted) DVDs. Want to watch a movie from your DVD on your phone, tablet or drive-less laptop? Do you have a DVD collection that you want to save to an external hard drive? Then it's a good idea to rip your DVD to your computer's hard drive and then copy the video file to your USB flash drive, external hard drive, phone, tablet or drive-less laptop. What is ripping a DVD? Ripping a DVD is the process of copying audio and video content from a DVD to a computer's hard drive. Ripping is often used to convert DVDs into other video formats such as MP4, MKV, MOV, AVI, MPG, WMV or FLV, and to edit, duplicate or back up the content of a DVD. Are you looking for a reliable DVD ripper? Do you want a DVD ripper that allows you to rip any DVD to your computer's hard drive? Then you will love WinX DVD Ripper Platinum. Into many video formats, such as MP4, AVI, MOV, H.264, MPEG, WMV, FLV, and M2TS. For all kinds of devices, such as iPhone, iPad, iPod, Apple TV, Android (Samsung Galaxy, Lenovo, HTC, etc. ), and much more. For sharing on websites, such as YouTube, Facebook, Vimeo, and other websites. Ripping the latest strongly encrypted DVDs (most DVDs you buy from the store have copy or region protection). Editing videos (cutting, trimming, and merging). Delivering quality video in reasonable time. Ripping a DVD using WinX DVD Ripper Platinum is as easy as loading your DVD, choosing a video format, device or website, and clicking a button. WinX DVD Ripper Platinum is a very easy to use DVD ripper which can rip and convert your DVD into many video formats and devices. It can also rip copy and region protected DVDs (most DVDs you buy from the store have copy protection). You can find WinX DVD Ripper Platinum here. 1. Insert the DVD you want to rip into the DVD drive of your computer. 2. Open WinX DVD Ripper Platinum. 3. Click on DVD Disc located at the top. 4. Select your DVD (if not already selected). WinX DVD Ripper will now load your DVD and then open a Output Profile window. 6. Select a video format, device or website (YouTube, Facebook, etc.). I always choose MP4 Video. 7. For the best quality, turn the switch to HQ. Note: Ripping in higher quality will take longer. 9. Make sure that if you rip a movie from DVD that only the main title is selected (usually, it's already selected by default). The main title is the one with the longest time duration. 10. If you also want to rip the subtitles, then click on Subtitles Disabled and select the subtitle you want. 11. Click on the RUN button. WinX DVD Ripper will now rip and convert your DVD. This may take a while. The amount of time it takes depends on your computer's hardware, video file format, and the file size of the DVD. Wondershare Video Converter Ultimate is a well-known and very easy to use video converter that can convert almost all video formats. You can also use it for ripping DVDs to MP4, AVI, WMV, MKV, MPG, MOV, and many other video formats and also to all kinds of devices, such as iPhone, iPad, Samsung Galaxy, PlayStation 3, PlayStation 4, Xbox One, Xbox 360, PSP, and other devices. You can also rip a copy protected DVD with Wondershare Video Converter Ultimate. 2. Open Wondershare Video Converter Ultimate. 3. Click on Load DVD. A DVD Load Model window will appear. 4. Select Main Movie and click on OK.
Wondershare Video Converter Ultimate will now load and analyze your DVD. 5. At Target, you click on the ▼ button and select a video format or device. 6. If you want to add subtitles to your video, then make sure that the subtitle is selected. 7. If you want to edit the video (trim, cut, crop, add effect, rotate, etc. ), then click on one of the icons located underneath the video thumbnail, edit your video, and then click on OK to save. 8. At Output located at the bottom, you can see and change the location on your computer where Wondershare Video Converter will save the video file. Wondershare Video Converter Ultimate will now rip and convert your DVD. This may take a while. The amount of time it takes depends on your computer's hardware, video file format, and the file size of the DVD. WonderFox DVD Ripper Pro is a very easy to use DVD ripper that can rip and convert your DVD into many video formats and for all kinds of devices. You can find WonderFox DVD Ripper Pro here. There's also a free version, but the free version can only rip a DVD to MPG (MPEG) format and has fewer functions. You can download the free version of WonderFox DVD Ripper here. 1. Insert the DVD you want to rip into the DVD drive of your PC. 2. Open WonderFox DVD Ripper Pro. 3. Click on DVD Disc, select the DVD drive and click on OK.
4. Only select the main movie (usually, it's already selected by default). 5. 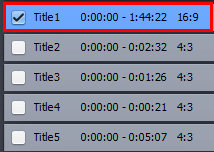 Click below Output Format on the video format icon (e.g., AVI, MP4, etc.). 7. At Output Folder (located at the bottom), you can view and change the location on your computer where WonderFox will save the video file. 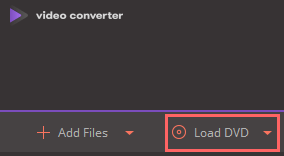 To change the location just click on the [...] button, select a location and click on OK.
Wonderfox DVD Ripper will now rip and convert your DVD. This may take a while. The amount of time it takes depends on your computer's hardware, video file format, and the file size of the DVD. MakeMKV is a free DVD ripper that can easily and quickly rip DVDs and Blu-ray discs to high-quality MKV files with a single click. It can also rip copy protected DVDs (most DVDs you buy from the store have copy protection). 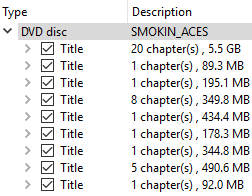 MakeMKV preserves all of the source disc's information, including tracks, chapters, HD audio, menus, and so on. You can download MakeMKV here (don't mind the word BETA because it's 100% working.). MakeMKV will now scan for your disc drive. 3. Click on the disc drive icon. MakeMKV will now read and load your disc. Once the source DVD is opened you will see its contents as a tree structure. Normally, a disc contains titles (individual clips such as main movie and bonus features). 4. Select which titles you want to save and what tracks to keep in each title. I would uncheck every title except the main title (the main title is the movie and it's the one with the biggest file size). Click on the ❱ (right pointing angle bracket) icon of the main title and then uncheck all audio and subtitle tracks you don't need. 5. 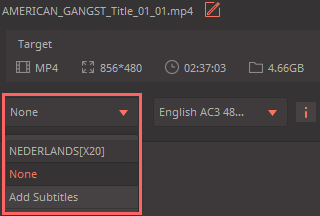 At Output folder, you can view and change the location on your computer where MakeMKV will save the video file. 6. Click on the small disc drive button located under Make MKV. 7. You may get a pop-up window like Directory D:/Video/Movie_Name does not exist. Do you want to create it?. If this window appears, you click Yes. MakeMKV will now rip and convert your DVD to MKV. This may take a while. The amount of time it takes depends on your computer's hardware and the file size of the DVD. Handbrake is a well known free video converter that can convert many video formats. You can also rip DVDs with this video converter. It can't rip copy protected DVDs by default (most DVDs you buy from the store have copy protection). However, there is a way to get around this, by installing libdvdcss and I will also show you how to do this. 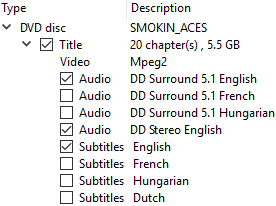 Tip: If you want to rip a copy protected DVD, then you will need to download the libdvdcss file here for Windows 32-bit and here for Windows 64-bit, and then place the libdvdcss-2.dll file into Handbrake's program folder (e.g., C:\Program Files\Handbrake). libdvdcss (or libdvdcss2 in some repositories) is a free and open source software library for accessing and unscrambling DVDs encrypted with the Content Scramble System (CSS). 3. Click on the Source button at the top left and click on your DVD. 4. At Destination, you click on the Browse button. 5. Open the location on your computer where you want to save the video file. 6. At File name, you enter a name for your video file and then click on Save. Presets here you can choose from among the various presets. You can rip your DVD to MP4 or MKV, but also to a few devices like iPhone, iPod, iPad, Android, and Windows Phone. Output Settings here you can specify custom settings such as cropping, applying video filters, adding or removing subtitles, adding audio tracks, create chapter markers, and more. If you don't know what all of this means, then just choose a preset. I always leave the settings as they are. Preset > Universal and Container > MP4. 8. Click on the Start button at the top. Handbrake will now rip and convert your DVD. This may take a while. The amount of time it takes depends on your computer's hardware, video file format, and the file size of the DVD. VLC a free and open source cross-platform (Windows, macOS, Linux, etc.) multimedia player and framework that plays most multimedia files as well as DVD, Audio CD, VCD, and various streaming protocols. You can also rip DVDs with this media player. It cannot rip copy and region protected DVDs (most DVDs you buy from the store have copy protection). 2. Open VLC media player. 3. Click on Media located in the top menu and choose Convert/Save from the drop-down menu. 4. Open the Disc tab. 5. Make sure that DVD is selected. 6. Click on the Convert/Save button at the bottom. 7. At Profile, you select a output video format. 10. At File name, you enter a name for your video or movie (e.g., Breaking Bad) and then click on Save. 11. Click on the Start button. VLC media player will now rip and convert your DVD. This may take a while. The amount of time it takes depends on your computer's hardware, video file format, and the file size of the DVD. With K3b you can also rip DVDs to your computer's hard drive. 3. In the top left section of K3b, you click on your DVD. 4. Click on Start ripping. A Video DVD Ripping window will appear. K3b will now rip and convert your DVD. This may take a while. The amount of time it takes depends on your computer's hardware, video file format, and the file size of the DVD.